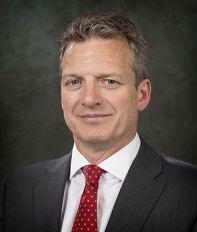 Iain trained at Norton Rose in the City and qualified as a solicitor in 1993. He joined Capsticks in 1995 and was a partner there for over 10 years before leaving to join Gordons at the start of 2011. He is a Partner in our Healthcare Team, specialising in defendant medical malpractice litigation, defendant insurance litigation and Regulatory/Professional Conduct litigation with a particular interest in representing doctors, dentists and pharmacists. Iain is an expert on the Civil Procedure Rules and costs and, historically, has acted variously for Claimants and Defendants in clinical negligence and personal injury litigation. His experience includes acting for NHS Trusts in complex medical malpractice claims – primarily through instructions from the National Health Service Litigation Authority – specialising in catastrophic injuries arising from childbirth, paediatrics, anaesthetics, neurosurgery and cardiac surgery. He has led a team in industrial disease litigation when acting for Strategic Health Authorities and uninsured Trusts in respect of personal injury claims arising out of asbestos contamination. Iain is highly recommended in both Chambers and the Legal 500 as a mainly defendant specialist in clinical negligence work. Iain is a member of the Association of Regulatory and Disciplinary Lawyers and the Pharmacy Law and Ethics Association.